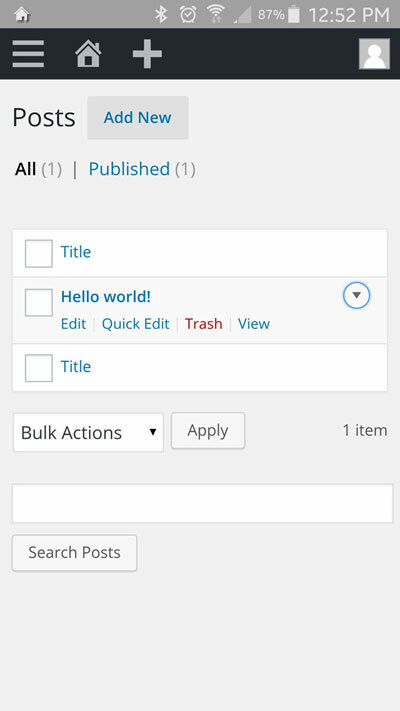 This article is outdated, check out what’s new in WordPress 4.6 here. WordPress 4.3 was released today, including more than 100 changes. If you’re running WordPress on any of your websites, you might have already seen the following message in your dashboard. By now, we all know that WordPress doesn’t stand still for too long. 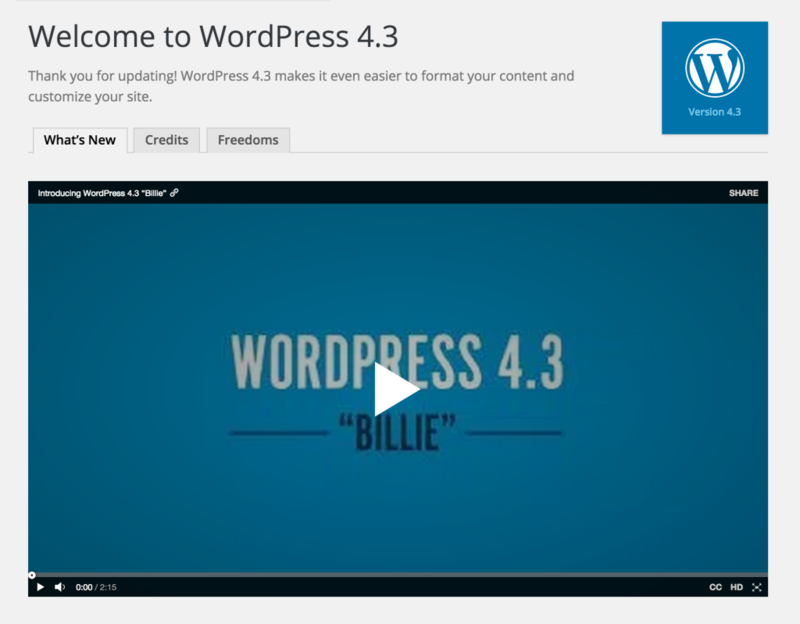 Just four months after the release of WordPress 4.2, the newest version is out: WordPress 4.3. Codenamed “Billie”, after jazz legend Billie Holiday, this release was lead by Konstantin Obenland. According to WordPress, this update “makes it even easier to format your content and customize your site”. Version 4.3 sees plenty of new features that users will appreciate. As a responsible website owner, we should all be maintaining our sites regularly. For a more detailed background on the topic, I’d recommend checking out our Definitive Guide to WordPress Maintenance. Not only do updates bring new features, they also address bug fixes and security issues keeping your site safe. Backing up your site to ensure you have a full, reliable backup if you happen to encounter any problems. 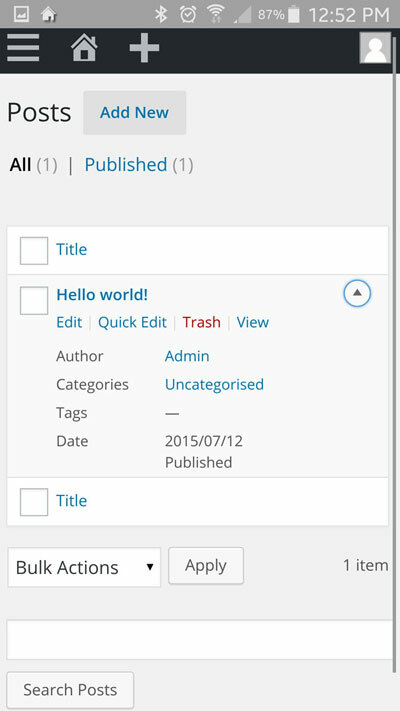 Logging into your WordPress dashboard and clicking on the ‘WordPress 4.3 is available! Please update now’ link. Selecting ‘Update Now’ and then letting WordPress do it’s thing. You will then see screen below letting you know the update is complete. Testing your site thoroughly to make sure that it is functioning as you expect. As with all core WordPress updates, in my experience they work flawlessly. The issues that I personally come across are always related to third party themes and plugins, particularly those of lower quality, those that are unmaintained or have been incorrectly modified. This is another good reminder to stick to using only reputable themes and plugins, and most importantly, using a testing/staging site for any high-value websites. If you’re after more information about how WordPress updates work, check out our Guide to Updating WordPress. This new feature is one for all the bloggers and copywriters out there. WordPress 4.3 includes a whole range of new shortcuts for text formatting, which are not unlike those used in Markdown markup. It’s quick, easy, and no fiddling around with the editor toolbar. This will help those of us who spend a lot of time in the WordPress content editor. 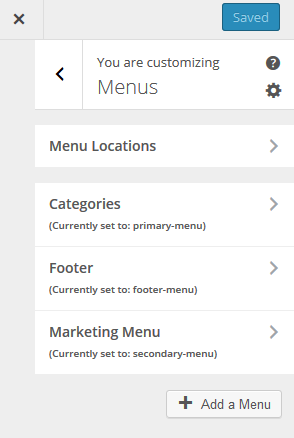 This update brings a new way of managing menus. Users can now create, update and assign menus all within the live-preview enabled customizer. The idea behind this change is to make menu building much more mobile friendly, with the new mobile-friendly interface offered by the customizer panel. Plus, you can see, in real-time, exactly how your menu is going to look on your site, streamlining the site build process. WordPress 4.3 security has been enhanced by a few significant improvements. It’s great to see more user-facing security features, these changes will definitely benefit all users. Generated passwords are now stronger by default, by removing the need for users to come up with their own passwords. The password strength meter is also now smarter. There is now a new process for managing passwords. Rather than receiving passwords via email, as has happened previously, web owners will receive a link to reset passwords. This link will have a limited shelf life, to ensure absolute protection if the email account or message becomes compromised. And, if you happen to add new users, then WordPress will generate safe, secure passwords for each one. WordPress 4.3 gives you the opportunity to add a favicon or site icon (the small ‘badge’ that represents your website in browser tabs and on the home screen of mobile devices) using the customizer as shown in the image below. Your new icon will even remain steadfastly in place if you decide to change the theme and the design of your website. Simply add an icon via the customizer. Previously, the default setting for comments was ‘On’, with WordPress 4.3, it has been switched to ‘Off’. Whenever you create a new page, comments will be switched off (unless, of course you manually switch them back on). This will save precious time when forgetting to turn off comments when creating pages, which we’ve all done! It will also go a long way in protecting unsuspecting users from being hit by comment spam. This will be a crowd pleaser, as announced in the official field notes: “Comments are now turned off on new pages, by default. And there was much rejoicing”. So let us rejoice! A new version of the list view has been introduced across the entire back-end dashboard area. This new view is designed to be much more user friendly when it comes to using WordPress on smaller, mobile devices. The columns are no longer truncated. Rather, you can toggle them back into proper view. In the WordPress 4.3 visual editor, when you click on hyperlinked anchor text or a hyperlinked URL, a link toolbar now pops up. This toolbar contains the URL in full, along with ‘Edit’ and ‘Remove’ buttons. This nifty little feature will save time, allowing you to avoid using the ‘Insert/edit link’ button in the editor toolbar. When logged-in and browsing the site, the menu bar at the top of the page has been changed to make it easier to go straight to various admin pages. 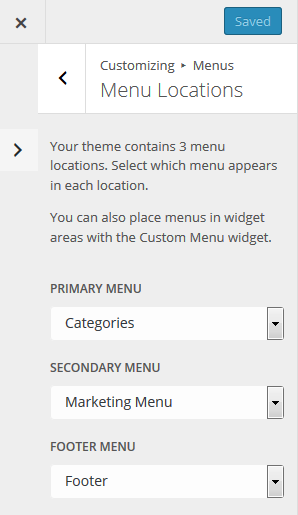 The second menu item (next to the WordPress logo) has been simplified to include only the main top-level items. Next is a direct link to the new-improved Customizer, a link for any pending updates with a notification of how many are available, and then a ‘New’ item which makes it quicker to get to add new users, pages and more, as shown below. While not a major change, it is worth noting that the way in which WordPress counts words and characters has changed in this version. Rather than updating the word and character counts when a user hits ‘enter’, WordPress now updates the counts when you stop typing. Multisite has a number of improvements, with more to come throughout the 4.3 life-cycle. For information on what’s been done so far, and what’s planned, check out core developer Jeremy Felt’s post here. In preparation for WordPress to support PHP7, PHP4 style constructors have been deprecated in WordPress core. Updates have been applied to the Taxonomy Roadmap, with terms that are shared across one or more taxonomies now split into separate terms. singular.php has been added to the template hierarchy as a fallback for page.php and single.php. It is now possible to define a primary column for a list table, and easier subclassing. Please feel free to share your thoughts and experiences with WordPress 4.3 below.